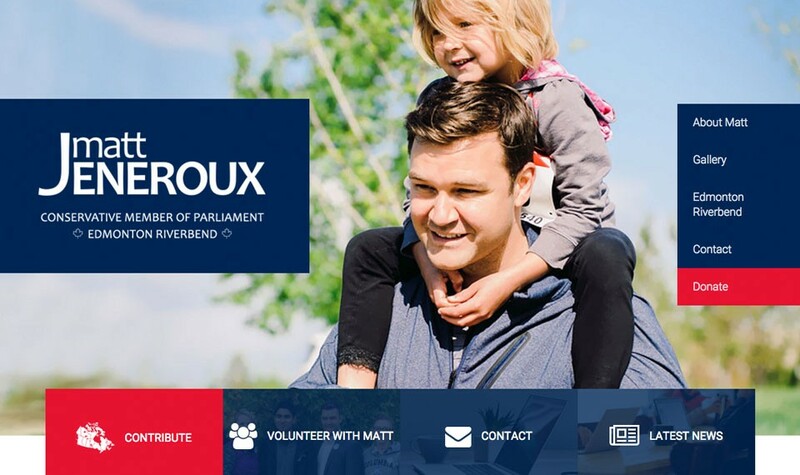 For this project, Mike was in charge of handling all the online web site services needed for the success of Matt Jeneroux’s campaign and official federal MP web site. This included coordination of all online web content. Due to the timely manner of all political campaigns, Mike performed web site updates in a quick and timely manner. In addition to the web site work, Mike designed the logo and put together a variety of marketing materials such as business cards, brochures, e-mail templates and social media graphics. Matt Jeneroux was one of Mike’s first clients. They have been working together since Matt Jeneroux was elected MLA in 2012. The web site helped Matt win the federal election in 2015!